Former Amaya Inc. CEO David Baazov has issued a statement of correction in the wake of a denial issued by Dubai-based investment group KBC Aldini Capital Limited (“KBC”) that it had agreed to be a backer in Baazov’s bid to purchase and privatize Amaya, as announced earlier this month. However, the continued support of the other of Baazov’s Hong Kong backers, the Stanley Choi-led Head and Shoulders Global Investment Fund now appears less certain. Following news of the KBC denial, which included the company filing a complaint with the US’s Securities and Exchange Commission, Choi told Bloomberg that “there is a lot of uncertainty right now” about the Baazov bid. 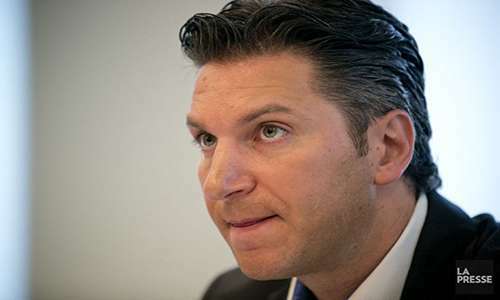 David Baazov today confirmed that he has been advised by representatives of KBC Aldini Capital Limited (“KBC”) that the equity commitment letter purported to be delivered to Mr. Baazov on behalf of KBC was delivered without KBC’s knowledge or consent and that KBC has not committed to provide financing for the proposed acquisition of Amaya. Mr. Baazov intends to obtain replacement financing and still currently intends to acquire Amaya on the terms previously disclosed by him on November 14, 2016. However, even acknowledging the correction, things may not go smoothly. As Flushdraw previously noted, the KBC denial immediately triggered a legal “investigation” — something of an open call for possible clients — by a Boston-based law firm. The quick spike and subsequent collapse in Amaya’s share price triggered by Baazov’s bid and KBC’s later denial can’t be undone, and regardless of what happened, there will still be questions of whether market manipulation occurred. Given that Baazov is already fighting charges in Quebec of insider trading and has some other spotty incidents in his past, perhaps the politest way to state it is that this is another real bad look. Besides, how exactly does one of four major participants in a multi-billion dollar acquisition end up not only not being part of the deal, but not even seeming to know about in the first place? And this — “the equity commitment letter purported to be delivered to Mr. Baazov” — implies that Baazov or an associate is in possession of an offer, but that it’s somehow fake. Really? Who faked it, if such an assertion is true? One can rest assured that securities regulators are likely to demand the answer to that one. And all that is before considering the fourth of the four entities initially listed by Baazov, Ferdyne Advisory Inc. Ferdyne remains as dark and secretive as ever, with no online presence save a British Virgin Islands business registration that expired in 2013, as we previously reported. Amaya, of course, is burdened by the fact that former CEO Baazov still owns about one sixth of the company’s stock. While the company has already acknowledged its awareness of the problems with Baazov’s latest bid, it remains to be seen if the company will continue to take that bid seriously. Amaya is likely to find itself under increasing public and jurisdictional pressure to find a way to excise Baazov from the company’s list of prominent owners. In connection with the Proposal (as defined in Item 4 to this Amendment), on November 25, 2016 the Reporting Person entered into amended binding equity commitment letters (the “Amended Equity Commitment Letters”) with each of Head and Shoulders Global Investment Fund SPC – HS Special Event Segregated Portfolio, Goldenway Capital SPC- Special Event SP (the “Equity Financing Sources”). Pursuant to the Amended Equity Commitment Letters, comprising aggregate commitments equal to $3.45 billion, each of the Equity Financing Sources has committed to contribute capital to a to-be-formed special-purpose vehicle led by the Reporting Person (“BidCo”) for the purpose of acquiring Amaya.